With easily one of the albums of 2008, antipodeans Cut Copy managed to repeatedly make any time - early morning, noon or night - feel like a party. Whilst some might say this was little more than a modern flip of the New Order indie-dance blueprint, the savvy among us were too busy pulling shapes to care. This started out as my unofficial Jeff Lynne tribute song and perhaps the most unusual of real pop songs on the album. We decided it should be first because it seemed like the most tangible statement about the new direction we'd taken on the record. It was quite an old track and one that I'd worked on as pure synth and drum machine song while we were touring around the UK with Mylo a few years back. I played a really rough sketchy version of this when we DJed after one of the these shows and Mitchell came running up to the DJ booth to ask 'what was that track?'. Obviously it changed a lot once the whole band worked on it, but that's when I knew it was good. Cut Copy - "Lights and Music" from Ewan MacLeod on Vimeo. I spent a lot of time thinking while working on this album about diamonds, reflective stones and the like. It's also the name of guitar pedal I once almost bought at a second hand store... and have never seen since. After spending 7 weeks in Goldsworthy's basement, we spent a bit of time tinkering with little segues and interlude ideas, running them through copious delays and effects. This was one of them. This was originally a fairly simple pop, love song which reminded me a little of the Strokes, who I've always rated so much more than any of the other bands that emerged from that era of 'new rock'. But courtesy of hundreds of guitar takes and my space station pedal, it turned into more of a washy shoe-gazing number that spirals perpetually upward and seems to sort of disappear into the distance instead of ever really finishing. Tim Goldsworthy told me a couple of times that this was his favorite song of our demos. Perhaps it appealed to his penchant for soundtrack-esque atmospheric ambient pieces, or perhaps because I wasn't obscuring the music with my vocals. Personally, I like this song for the balance it gives the record against some of the more bottom-end-heavy songs. This track is probably my personal favorite on the record, perhaps because it was the last one that we wrote and worked on the most together at DFA. One of the interesting things is the amount of curiousity that the fade-out ending has created. It was really a one take rambling vocal and synth line from me that Tim Goldsworthy shaped into a disco outro. Subsequently 3 or 4 other interpretations have appeared including Knightlife's definitive 'sun soaked reprise'. We will have to release Goldsworthy's full length version sometime, and our own! One day in the studio we had the epiphany that we didn't just need to re-record parts to our songs, we could pretty much redo our songs with any instruments. This song contains a little snippet of an ambient version of hearts on fire we did without drums or any of the original parts. It even contains tiny hints of a desktop radio playing some new york station into the mixing desk if you listen closely. The first time we played this song was at a new years eve party we put on for our own record label 'Cutters' a couple of years ago, featuring Midnight Juggernauts, The Avalanches (under the name Toto & The Tornado) and Riot In Belgium. I remember we bought a laser light which we could operate from stage and hit the switch just as the song started. When we asked afterwards how it looked, no-one could see it. 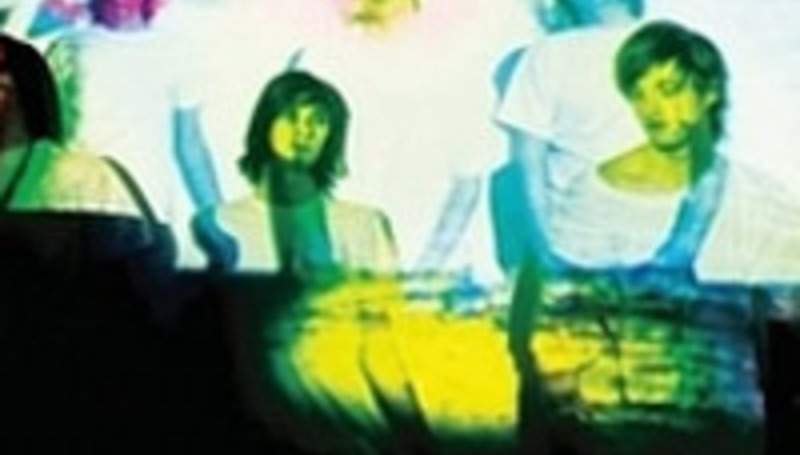 That was the beginning and the end of cut copy and new rave's rather shortlived association. This was a love song to my girlfriend at the time. It was a simple song that I wrote quite quickly and in a naive sort of way I didn't even really intend anyone to listen to it let alone for it to be a single, even though I wrote it as a Cut Copy song. But there was a general consensus that people seemed to love this track. It's really unusual that the working title of one of our songs ends up being the ACTUAL title. But this is one time that it did happen. It is an unfinished song that didn't even quite make it to demo stage, but we took a little tiny section of it which appears here in the record and it ended up here, even though the beat never kicks in and we used the most minute portion of it. One of the things that I love, that the avalanches did so well and I think we've absorbed into the way we write songs is unexpectedly changing the energy and instrumentation mid-song. It might also reflect our short attention span musically, which might annoy some people, but I always find it interesting when you end up in a different style of song from the way it started out. This song started out with me playing my prophet 5 keyboard through a delay and slowly adds all the members of the band in an imagined film-soundtrack jam. Around about the time that this song came together, I was listening to a lot of post-punk disco stuff while simultaneously Tim was listening to the Eagles. I think this song came out somewhere in the middle. At one point the chorus was replaced by a weird vocal take that sounded like Womack and womack's 'teardrops'. Thankfully this direction did not prevail (although I do admit 'teardrops' is one of my guilty pleasures). This song came together after our DFA recordings when I was mucking around with some atmospherics and delays for interludes on the record, but this one just kept on going and became a full song. Also if you have the vinyl you can play the second half of this backwards and hear the vocoder voice from feel the love. It's kind of the opposite of a satanic message.